It’s that time of year again: on 18 January 2019, the Wiener Eistraum 2019 opened its doors on Vienna’s Rathausplatz. It’s been possible to skate on what is known as the “little Eistraum“ since the opening of the Christmas markets, but it doesn’t compare with its “big brother”, on which the organizers have been working intensively for three weeks now. Skating on the rink and on the routes through the park is a fantastic experience. The beautiful Vienna Town Hall marks the border on one side and the Burgtheater is situated on the other, while trams trundle past in close proximity to the ice rink every few minutes. The organizers have once again come up with something new for 2019: the Eistraum lifts off! Needless to say, you won’t have packed your skates for your trip to Vienna. However, that’s no problem at all, since all the preparation required from visitors is lots of enthusiasm: the rest has already been taken care off. If you book your entrance ticket (€8 per adult) online in advance, you will receive a 10% discount and will also save yourself the wait in the line at the cash desk. When booking online, you will be given a code which you can enter into one of the ticket machines on site in exchange for your ticket. The Wiener Eistraum is open for you now. 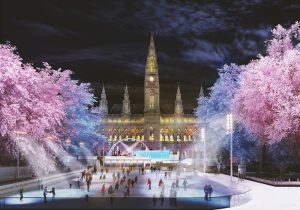 There are now four large ice rinks provided for your enjoyment which are connected by the “dream paths” that weave their way through the Town Hall Park. For safety reasons, the paths are one-way only, connected by roundabouts which are well safeguarded so that everything runs smoothly even during peak times. It’s really fun to explore the labyrinth of ice, as you will discover. The highlight of 2019 is a specially built construction called the Sky Rink. This leads from the “ground level” route to the “first floor”, and offers a new view across the surroundings as well as significantly more space for skating as a result. Due to the natural incline at Vienna’s Rathausplatz and a 120-meter-long ramp up to the terrace, the Sky Rink can be easily reached by all skaters. Surprise yourself. If you’d like to take a look at the Rathausplatz in advance, you can use the webcam here. And I’d almost forgotten to mention that plenty of eating options have been put in place for your comfort, of course. There are various outdoor stalls and three alpine huts where you are invited to take a break, gather your strength and warm yourself up. 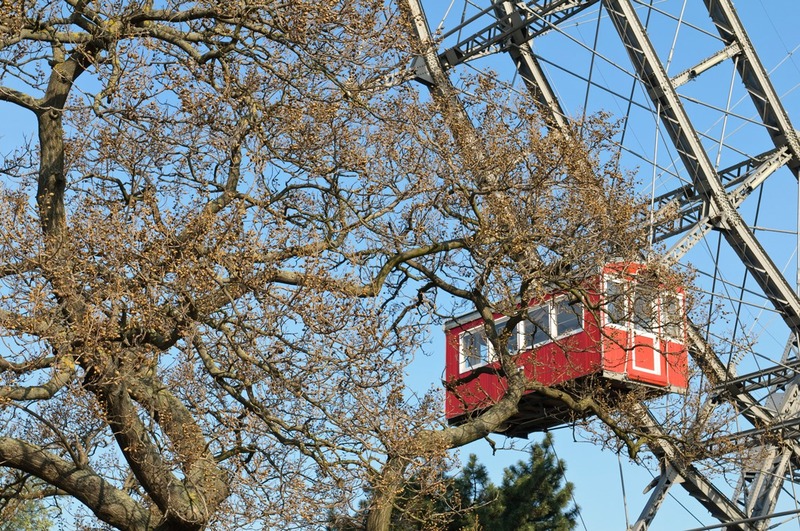 The Wiener Eistraum will remain open until 3 March 2019 from 10:00 to 22:00 daily. You are best able to get there from the Schick Hotels on foot or by tram. 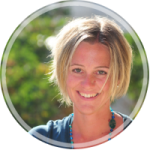 Daniela Hirschl has worked at Schick Hotels in Vienna since 1996. At the Hotel Erzherzog Rainer, she began as an assistant and by 2004, when she took maternity leave, she was responsible for the hotel. Back at Schick Hotels, she is currently in charge of marketing. In Vienna Insights, she reports on current events and news in and around Vienna. In addition, she offers tips for parents traveling with their children in Vienna so that the little ones will also be thrilled by their vacation in Vienna. Fulfilled: the heart’s desire 2019!